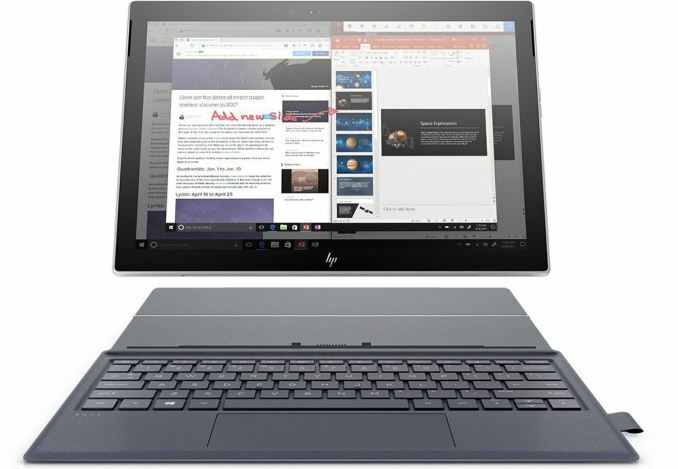 HP has started to take pre-orders on its new Envy X2 2-in-1 notebook based on Qualcomm’s Snapdragon 835 SoC and Windows 10 S. The 12.3” device is designed as a thin always connected unit, and rated for up to 22 hours on one charge. The price of the new Envy X2 is higher than we imagined when these devices were first announced: it starts at $999. The 2018 HP Envy X2 2-in-1 detachable laptop comes with a 12.3” WUXGA+ touch-enabled display covered with Corning Gorilla Glass. The system runs the Qualcomm Snapdragon 835 SoC equipped with 4 GB of LPDDR4-3733 DRAM and 128 GB of eUFS storage (models with enhanced DRAM and storage are expected to be available later). The PC’s physical interfaces include one physical USB 3.1 Type-C header (with DisplayPort and USB Power Delivery support), a microSD card reader, and a 3.5-mm TRRS audio input. Wireless connectivity capabilities comprise of a 2x2 802.11ac Wi-Fi module with Bluetooth 5, and the built in Gigabit LTE modem from the SoC. The built-in SoC modem is meant to be one of the key features of the Envy X2 - it makes the device always connected in all areas with 3G and/or 4G networks, which essentially means everywhere in well-developed countries. For imaging, the device uses a 13 MP rear camera and a 5 MP front-facing camera. The new Envy X2 is equipped with a 49.33 Wh battery that is rated to enable up to 19 hours of continuous video playback (at 150 nits brightness) or up to 22 hours of mixed-use workloads (HP does not tell how it tested these). 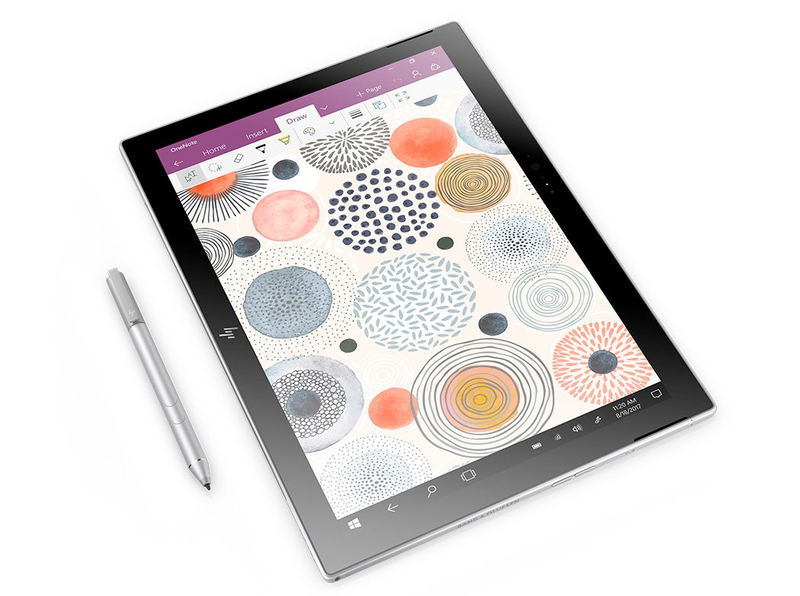 When it comes to portability, the HP Envy X2 is in line with professional tablets and advanced thin-and-light notebooks. The tablet itself it is 6.85 mm (0.27”) thick and weighs 698.5 grams (1.54 lbs), which is comparable to Apple iPad Pro 12.9”. When outfitted with a keyboard, the weight of the new Envy X2 bumps to 1.211 kilograms (2.67 lbs), which is similar to fully-fledged 13”-class laptops. HP lists the S835 as running at 2.2 GHz base and 2.6 GHz turbo, which is typically how we describe an x86 PC, not a smartphone SoC: the S835 has two sets of cores, normally listed as 1.90 GHz on the efficiency cores and 2.45 GHz on the performance cores, neither of which correlates to HPs listing. So either this is a faster Snapdragon S835 bin, or there is miscommunication in the specification sheet. In this form factor there is a better opportunity for more cooling, which would be suitable for a higher frequency bin of SoC. But nonetheless, the 2.2-2.6 GHz listed on HP's website is not telling the whole story. Other I/O Microphone, stereo speakers, audio jack, trackpad, MicroSD card reader, etc. Dimensions Width 292.8 mm | 11.53"
Height 210.3 mm | 8.28"
Like all Envy-branded devices, the new Envy X2 is designed to offer a premium experience: it comes in a brushed aluminum enclosure, features an audio sub-system co-developed with Bang & Olufsen, has a full-size magnetically attached keyboard/cover, and a stylus supporting Windows Ink technology (it is plausible to assume that the pen supports at least 1024 levels of sensitivity, but HP has not formally confirmed that). This premium look and feel comes at a price. The Envy X2 model with 4 GB of RAM and 128 GB of NAND flash storage costs $999.99 and will ship on March 9. By contrast, the ASUS NovaGo TP370 with 8 GB of RAM and 128 GB of storage is priced at $799, whereas Lenovo’s Miix 630 is also expected to start from $799. Apple’s iPad Pro 12.9” with 4 GB of RAM, 64 GB of storage, a 4G/LTE modem and a keyboard is priced at $1197 (a version with 256 GB of NAND, a keyboard and stylus costs $1347), evidently HP aims its new Envy X2 at the same segment. The latest HP Envy X2 is a product of Microsoft’s new attempt to marry nearly full-sized Windows and ARM. For HP, this is the first device running an ARM SoC and Windows for PCs. Several years ago, HP did not support Microsoft’s Windows RT (the software giant’s previous failed shot for ARM) and decided to focus on Atom- and then Core M-based Envy X2 running Windows 8/8.1/10 instead (many of such systems cost less than $1000). 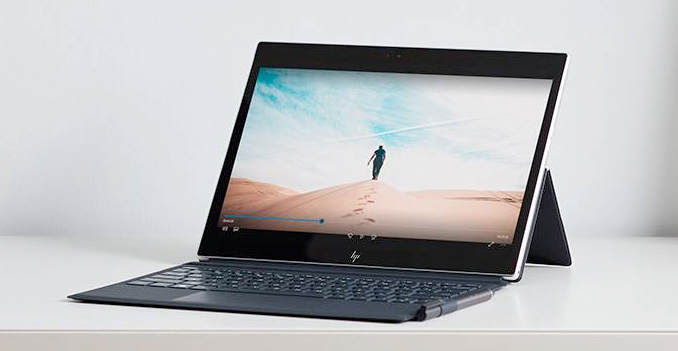 This time HP decided to go with S835 in a bid to offer a sleek always-connected Windows 10 device with an extra-long battery life. Since it is an Envy, it is priced accordingly and it remains to be seen whether end users are willing to spend this amount of money on this device. Obviously, the new Envy X2 is always connected and can work for a long time on one charge, but in Windows 10 S environment it can only run either specially-optimized applications, or perform binary translation (or another form of emulation) for 32-bit x86 applications (64-bit x86 apps are not supported) which naturally results in reduced performance. I get why they're thinking they can price this at $999 against an iPad Pro. 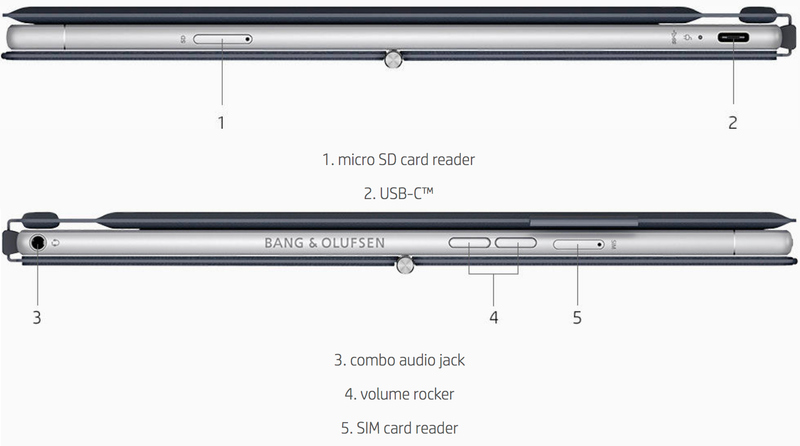 It comes standard, I assume, with the keyboard and pen that you pay extra for when buying an iPad. To be clear, I think they're being delusionally optimistic. I'm interested in a cellular-less Windows on ARM tablet in the $200-$300 range, maybe. But I have no need for this. Then again, maybe they think it'll be a big winner in the corporate world. And to be fair, they could absolutely be right; I could definitely see this working pretty well for the C-level set. And if success here inspires them to make cheaper devices, then great. I would agree that $200-300 (at most) would be only way I would consider one of these machine. Makers should be shamed for trying to selling one of these at full prices taunting higher battery life and unknowing customer purchase and wonder about the performance. No matter what Microsoft is saying about Windows 10 on ARM, this Windows RT all over again. 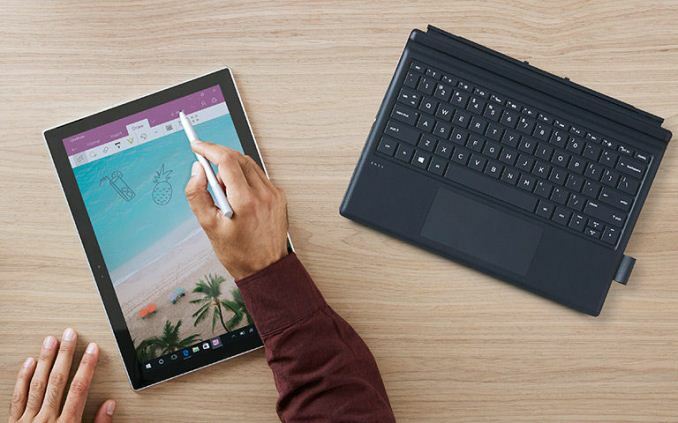 The surface pro does not include neither keyboard nor pen at that price though. If you need those, you need to add over $150 to the bill. "No matter what Microsoft is saying about Windows 10 on ARM, this Windows RT all over again."